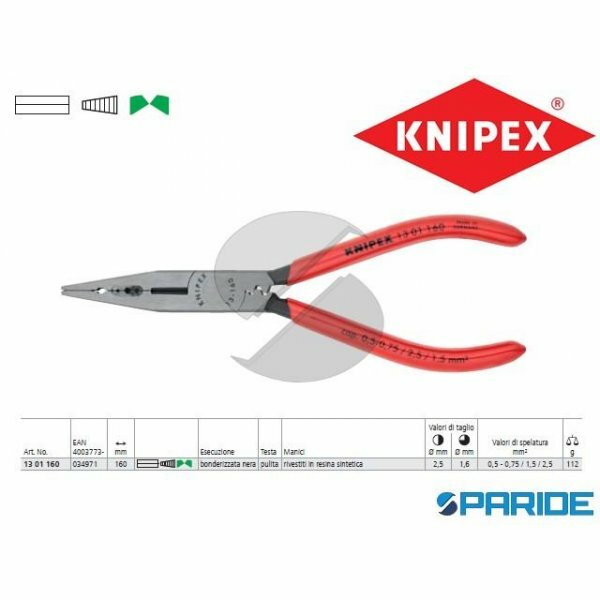 PINZA COMBINATA 13 01 160 PER ELETTRICISTI E CABLATORI KNIPEX. 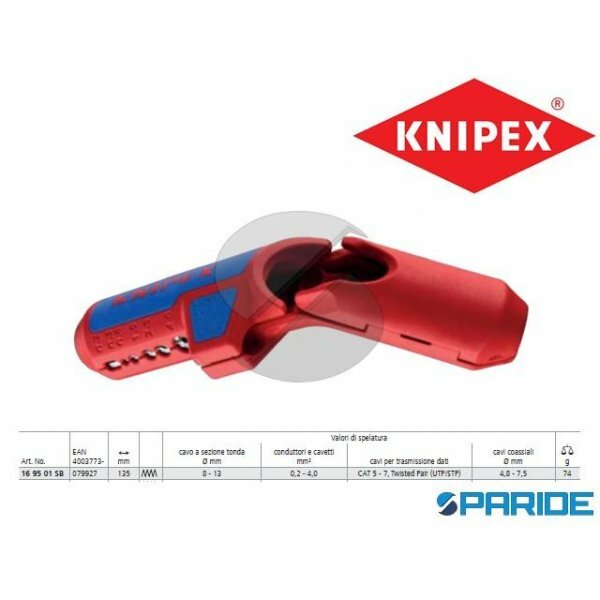 PINZA CON MANICI IN RESINA SINTETICA IDEALE PER LAVORI DI CABLATURA PER SERRARE E PIEGARE FILI PER TAGLIARE FILI DURI..
PINZA COMBINATA 13 02 160 PER ELETTRICISTI E CABLATORI KNIPEX. 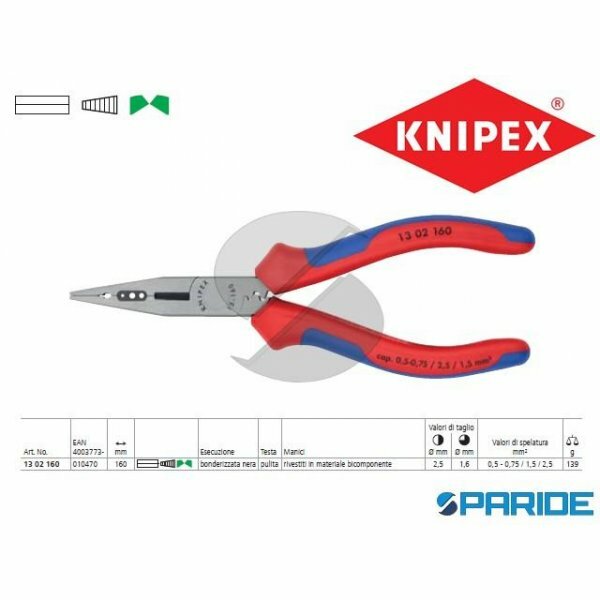 LA PINZA IDEALE PER LAVORI DI CABLATURA PER SERRARE E PIEGARE FILI PER TAGLIARE FILI DURI E MEDIO-DURI, TAGLIENTI DI ..
TAGLIATUBO TWIST CUT 90 22 02 SB KNIPEX CON SPELACAVO. 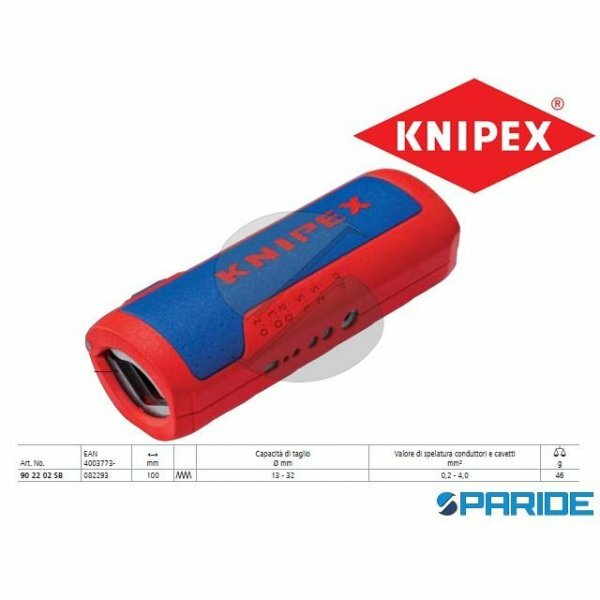 PER TUBI ONDULATI CON DIAMETRO DA 13 - 32 MM; PER TRONCARE TUBI ONDULATI VUOTI O CONFEZIONATI; IMPIEGO PER IL SETTORE ELETTRI..
UTENSILE SPELACAVI ERGOSTRIP 16 95 02 SB KNIPEX UNIVERSALE. PER SPELARE IN MODO RAPIDO E PRECISO I CAVI ELETTRICI PIU COMUNI A SEZIONE TONDA E I CAVI PER AMBIENTI UMIDI (AD ES. CAV..